Becky Bees, a dessert joint, famous for its lovely popsicles, previously located at Gangadham decided to move to Salunkhe vihar and not only expand their joint but their menu as well and what we got was another outlet by the name of 'Becky's Binging Bay'. Becky's Binging Bay is a vegetarian restaurant that specializes in authentic European delicacies starting from soups to desserts. Their menu has been crafted very thoughtfully and practised by the chef to create the perfect combinations. They use 12 different kinds of cheese, six to seven diffrent kinds of mushrooms and a wide range of different chillies to deliver a unique taste. You'll see that most of the options on the menu are healthy and nutritious so you don't have to worry much about health while you binge. All of their rice dishes are cooked in a lotus leaf. I tried their Stir Fry Wok with Chilly Garlic Coriander which ended up being my favourite. It was an amazing delicacy that had a very simple yet unique and addictive flavour. It was served with gravy made up of lemon, coriander, chilly and garlic with lots of exotic veggies in it. The rice has a strong and tempting aroma as it was specially cooked in a lotus leaf. The dish cost INR 220 and it was pretty worth the price. You can also try their Mushroom Gruyere Soup which. The soup was low in fats, which makes it a great pick for all those counting calories. I really liked the soup and it was worth the price tagged on it. All the soups served here are accompanied with multigrain breadstick and hummus. Their Smoked Cottage Cheese in Chipotle Sauce was also perfectly spicy and had a tangy flavour. The dish was appetising and cost INR 270. 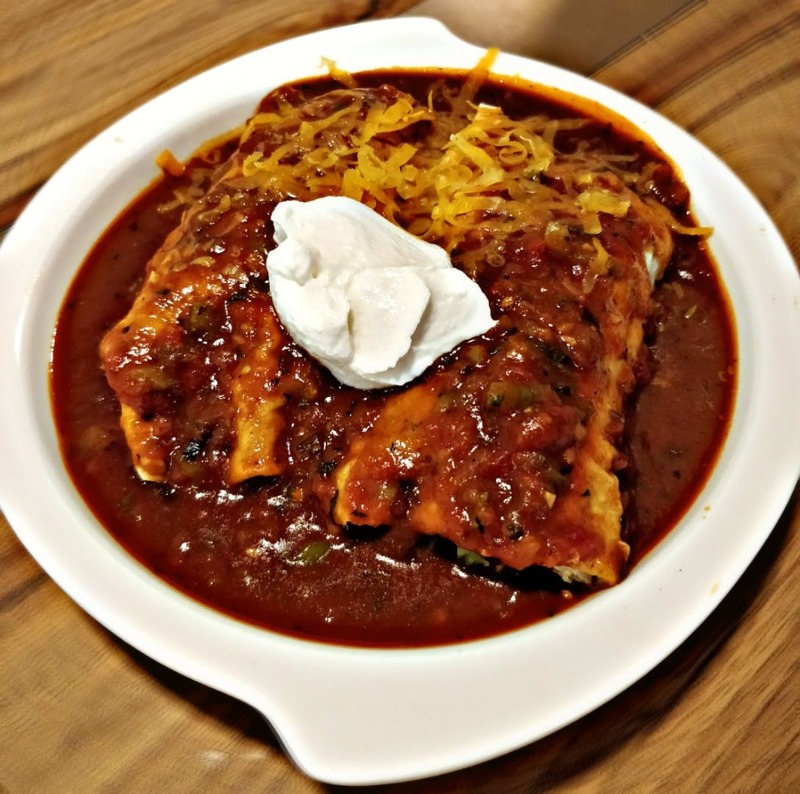 Another great pick that I made was to try the Burned Corn Enchiladas with Guajillo Chilly. It was a combination of sweet corns stuffed in the soft and chewy tortilla with spicy guajillo chilly gravy, made and served with perfection. This was priced at INR 220. Dark Belgian Chocolate Crousillant with Raspberry and Apricot Sorbet was the best way to end the meal. It was a delicious belgian chocolate ice cream with a tangy taste of sorbets all together. The base was made up of cookie and chocolate mousse which made it the ultimate dessert choice. If you happen to visit their Becky Bees outlets, don't forget to try their amazing dessert and popsicles.